I’ve been into Chardonnays lately…and as any wine geek can relate, that is something we likely all go through. Next month, it might be a different varietal, or even a blend, but for now, the Chardonnay is the Queen. I love the diversity of this grape. It can be fermented in stainless or oak, fermented in stainless, but aged in oak; made into some of the world’s finest Champagnes and bubbly’s, fermented in stainless, and aged on its lees (dead yeast cells)…you get the picture, and perhaps can see just a bit of the diversity I’ve mentioned. Part of me is also looking to the ingenuity of the winemaker. What is he/she doing to make their Chardonnay stand out? What type of oak is he/she using? American or French oak? And how much oak is being used? Light oak or heavy oak? What level of toast? And what about the area or region where the grape is being grown? How about the soils? So many questions! I won’t answer all of them here, but I will discuss a few. So let’s talk about oak: French oak imparts flavours of vanilla and toast, whereas American oak tends to be a bit sweeter, imparting flavours of vanilla and coconut. I don’t know about you, but I absolutely LOVE coconut, so part of what I’m looking for in an (American) oaked Chardonnay are those smooth, mouth filling coconut flavours. 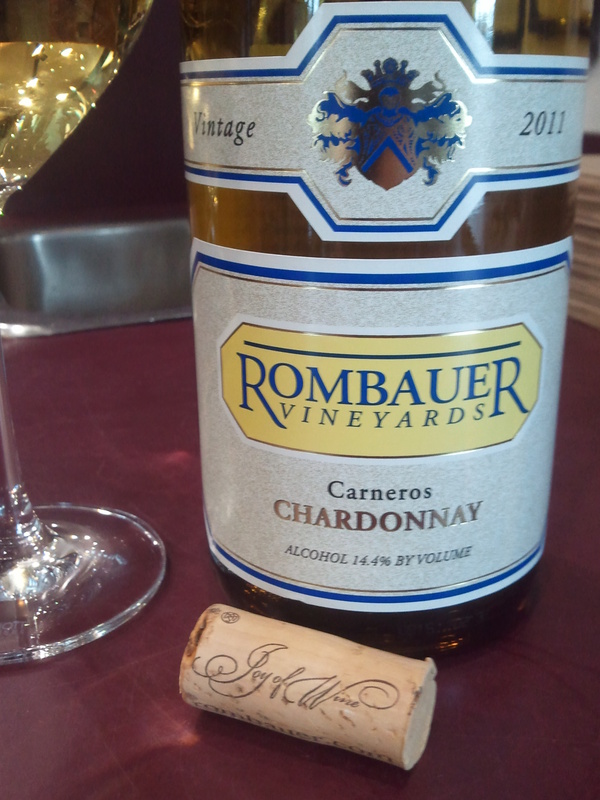 Take the Rombauer Chardonnay for example. An American Chardonnay from Carneros (spreads over both the Napa and Sonoma Valleys), this one is very popular. Folks that have purchased it in the retail store I work at, think nothing of paying the $47 price tag, which tells me a few things. It must not just be good, but very good. So I tried it. And in a word? Complex. And yes, very good indeed. It was creamy smooth with that baked pineapple, vanilla, and yes, coconut both on the nose and the mouth. Full bodied and a long finish, this Chardonnay did not disappoint! And as it warms, it changes too! It would taste marvelous with a chicken fettucine with fresh broccoli, or a Chicken Tetrazzini, but seriously? Drink a glass on its own first, because you’ll want to savour all the DEE-lishiousness in this wine! On the oak scale, it’s heavily oaked in both American and French oak for 10 months. But after tasting some great American Chardonnay’s, I had to go to Burgundy. After all, some of the longest lived white wines come from the region! Looking for something to talk about? Something that’s aged in oak quite heavily, and full of nutty, buttery nuances? Then you’re looking for the Meursault. However, be prepared to pay the hefty price tag also! It’s definitely on my wine-wish-bucket list. Meursault (MARE-soh) is located in the Cote de Beaune, which is part of the Cote D’Or in the Burgundy region. Although there are some reds here, (and some excellent ones I might add) it is quite well known for its white wines made exclusively from Chardonnay. You might also come across some labels from Puligny-Montrachet (POO-lee-nee mon-tra-SHAY)or Chassagne-Montrachet, (cha-SANNE mon-tra-SHAY)two villages in the Cote de Beaune that added their name to their most famous vineyard – Montrachet. If you thought a Meursault might be good….then you’ll be entranced by Montrachet. Again…another wine-wish-bucket list! Cote de Beaune’s neighbour to the south, the Maconnais, has some equally excellent Chardonnays without the hefty price tag. Saint-Veran is typically un-oaked and has flavours of citrus and zesty apple. A good choice if you want a lighter Chardonnay without all the oaky flavours! 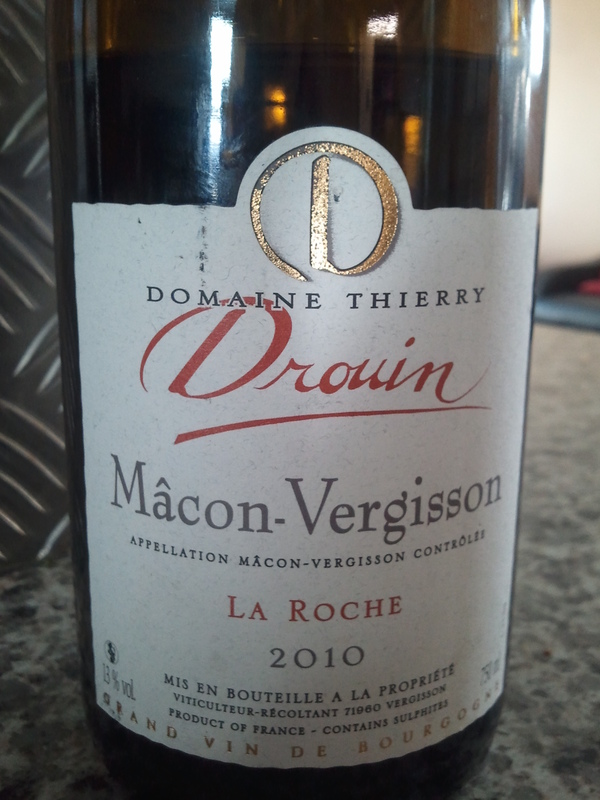 Another great value is any Macon-Village wine. It is also unoaked, but because it has gone through MLF (Malolactic Fermentation), it will also have that imparted creaminess in the wine. To the left is from the village of Vergisson in Macon. This particular wine has some oak aging (French), but it does its maturation on the lees and with battonage(stirring the lees into the aging wine). Pineapple, white flowers, and yes, that hint of vanilla, both in the nose and on the palate! Rich gold in colour, with good acidity, yet well-rounded body, an excellent value Chardonnay for about $25! The Pouilly-Fuisse (POO-yee FWEE-say) is not one region, but a series of villages that comprise the appellation. Wines made here will be more oaked than in Saint-Veran or Macon-Villages, but you can expect less oak than in the Cote de Beaune Chardonnays. In fact, winemakers in this region really have a great deal of choice when it comes to using oak: some use a lot, some use a little! To the left is a wine from one of the major producers in the region, Domaine de la Chapelle, and this bottle, is IN MY COLLECTION! Unopened mind you, but it is there! This wine is well….a bit complicated. Lots of different types of oak aging, stainless ferment, and lees stirring all coming together in the end to make this one wine! Will it be good? I don’t know for sure, but I have a hunch that it will be! In fact, I can’t wait to taste that rich honeyed pear and pineapple, and in all liklihood…vanilla! And then there’s Chablis! (Shab-LEE) Up in the northern part of Burgundy, it is about an hour and a half drive from Chablis to Beaune! It seems all by itself up there, but it is indeed a part of Burgundy, so that makes it exclusive to Chardonnay as well. This is typically aged in stainless steel (NO oak at all) which always gives it that bright acidity and all those beautiful steely, mineral flavours! There are many great ones out there, and you can even pick up a Grand Cru for about $45. Stay tuned for more on Chardonnay including a Chablis, and oh yes…maybe even a Champagne or a Sparkling! We can’t leave them out can we? Until then, may all your Chardonnay be savoured sweetly! Cheers! This entry was posted in Education, Varietals, wine and tagged Burgundy, California, Carneros, Chablis, Chardonnay, Cote D'Or, Cote de Beaune, France, lees, Maconnais, Meursault, Napa Valley, oak, Sonoma Valley, vanilla. Bookmark the permalink.